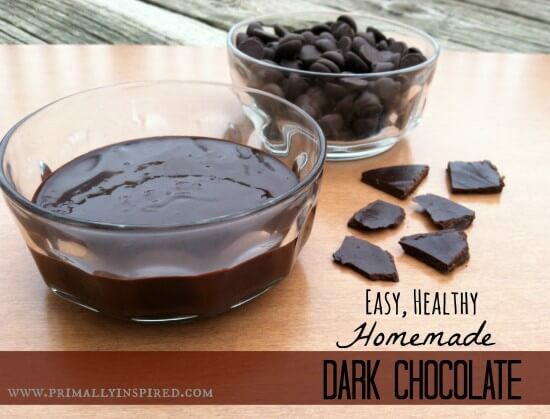 Learn how to make your own easy, healthy, homemade dark chocolate! I have a large amount of treat recipes that call for melted chocolate or chocolate chips or chocolate bars. Organic chocolate bars are so expensive and it’s really hard to find good quality chocolate chips without soy lecithin or other artificial yuckies (here’s the only brand of chocolate chips without dairy or soy). So this homemade chocolate is the perfect solution! You can use this recipe to make chocolate bars, chocolate candies or even chocolate chips. You won’t believe how easy this is to make! 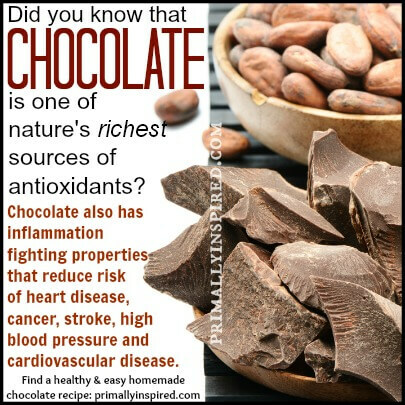 And ohmigosh, it tastes so much better than any store bought chocolate. I can’t keep a batch of this in my house for over 5 minutes! And dare I even call this a healthy chocolate recipe? Why yes, I most certainly do dare! And let me tell you why. Oh one more thing: Skip the refined cocoa powders like dutch processed. Yes, the dutch processed versions taste great, but the refining chemical process removes the healthy antioxidants. Instead opt for cocoa powders that are labeled natural or unprocessed – these are your best, healthiest option and are abundantly filled with healthy antioxidants. 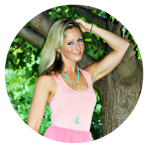 This organic natural cacao powder is the bomb – I love this stuff so much! Combine all the ingredients in a small bowl and stir until well mixed and smooth. You can pour the chocolate into candy molds to make chocolate candy, you can put the chocolate into a cake decorator (or plastic bag with the edge cut off) and pipe out chocolate chips or you can pour the chocolate into wax or parchment paper and make bars. Freeze until hardened – about 30 minutes. Store the chocolate in the fridge. 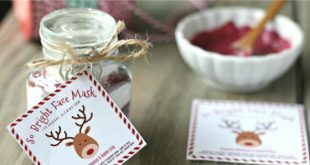 DIY Lemon Face Scrub with free printable labels. 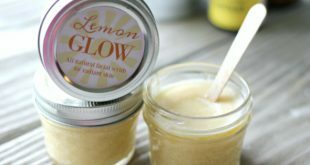 This easy homemade scrub recipe gives you the smoothest, glowing skin! Suitable for all skin types. Thank you. Thank you! This looks so so good! Will have to try it. 🙂 Hope you love it as much as me!! So, this might be a silly question, but would you still add coconut oil to the recipes (like the chocolate dipped oranges) or would that no longer be necessary given you’ve made it yourself with the oil? Hi Laura, not a silly question at all! I usually still add the coconut oil. When you make this chocolate, you’ll see that it can be thick. So for recipes that I need to dip things in, I add the extra coconut oil so it’s a thinner consistency and is easier for dipping. You don’t have to do this, but I think it makes it easier to work with! I LOVE this recipe! I buy organic chocolate bars every week and break off little squares as a “treat” after dinner. Now I can create my own flavors! I made two batches today, one with dried orange peel and ground almonds, and another batch with ginger. They are wonderful! I like the consistency even better than the pricey bars I buy a the natural grocer. Thank you so much! Makes me so happy to hear this! I love your flavors! I will try them – I know I’m going to love both of those ideas!! in order to make chocolate chips with the plastic bag…the chocolate should be warm or let it cool a bit so i can make them? After the chocolate cooled couldn’t you pour it into a pastry bag or ziplock bag and snip the end off and squeeze chocolate chips out? Hi Doris, you sure can! Great idea! This sounds delicious, thank you for posting!! I want to make it right now, but all I have is non-organic cocoa powder, do you think that would taste similar to the organic cacao powder? Nevermind, just noticed you already answered that question above! Great to hear – thank you!! I love Tropical Traditions Coconut Oil, which version do you use in this recipe? This sounds great and I have all the ingredients on hand. Unfortunately my cacao is Dutch processed, but I get it from a local outfit who really supports free trade and it is also organic, which is hard to find in the boonies where I live. I guess I’ll have to rely on the enzymes I get elsewhere. It is a shame that you can’t get good chocolate without either paying through the nose for it or making it yourself. Your recipe is simple, uses good ingredients and would be healthy for anyone to eat in moderation. Thanks for the recipe. I will be making some soon. I hear you, David! I hope you love this 🙂 Oh and I loved your website, too! hi! i can’t wait to try this recipe! what do you put in the mold to prevent it from sticking/making it easier for the chocolates to come out? how long can this chocolate be stored at room temperature? Oh my word. Life changing! I’ve been searching high and low for a “healthy chocolate” without soy lecithin or agave or other rubbish. I also love my chocolate super dark. Made two dessert sized portions this evening: 2T cacao, 1T coconut oil (1 tsp maple syrup and peppermint essence for him, 1/4 tsp maple syrup for me). Yum, yum, yum. You are glorious! omg!!! you are such a life-saver!! i have gluten AND lactose intolerances… and here in belgium it’s impossible to find a chocolate bar without a contaminant from one or the other! all the other chocolate recipes i’ve found online use cacao butter, which i can’t seem to find either! i just made a batch of this – it was the just about perfect amount for 12 mini-muffin (1/3 full) silicone molds. i also put a whole almond on top of each one! i mixed the remaining two spoonfuls into a bit of refridgerated coconut milk and had a homemade chocolate pudding! i’ve already downed the pudding (dipping fresh strawberries into it) and can’t wait for the chocolates to set! thank you for bringing chocolate back into my life! Great idea on adding the coconut milk to it to make pudding – I can’t wait to try that!! Maybe dumb question – but can you bake with these? Seems like they’d melt so maybe only use for raw treats? Hi Felicia! The chocolate has coconut oil in it, which makes it come out of the molds well. It depends on the temperature of your house for how long it can be stored at room temp. Coconut oil starts to melt at 76 degrees. If your house is cooler than 76 degrees, it will stay solid. It will start to get soft and melt any temperature higher than 76 degrees. Hope that helps! I LOVE he smell of coconut, but don’t like the taste of coconut. Is there another oil I can use for this or does it have to be the coconut? Janeen, my husband is the same way! I use expeller pressed coconut oil a lot when I cook and bake because he doesn’t like the coconut flavor. Expeller pressed is tasteless and odorless – which makes it great for people who don’t like coconut or for recipes that you don’t want to taste coconut. It goes through a steam deodorizing process that completely takes away that coconut smell and taste. 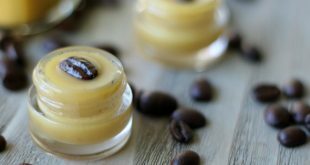 I buy mine here: http://secure.ttpurchase.com/27D1B324-1E0B-90B3-0E0F3F750640D551 and it’s called Expeller-Pressed Coconut Oil. Someone mentioned trying butter in place of the coconut oil and I think that would be a great substitute, as well. I haven’t tried it personally, but will try it soon! Hope that helps! Hi Janeen. I use Cacao Butter to make my chocolate and this works fab! (as “chocolate bars” use cacao butter instead of coconut oil so it makes sense to try this at home!). I love coconut oil and use this tons throughout the rest of my day so cacao butter is a nice change. sounds lovely. Can I substitute butter for the coconut oil? I haven’t tried it in this recipe myself, but I don’t see why it wouldn’t work! Nice recipe, although I gotta say that this is not REAL chocolate :-). In real chocolate, organic or other, there’s no coconut oil, just cocoa butter. I love this recipe. I am so thankful you posted it!! 🙂 Thanks for your comment Tara! So glad you are enjoying it!! Have made this a couple of times! Just love how simple and tasty it is! as for the comment about cacaobutter I used to make my chocolate almost like this but with cacaobutter, but wasnt as tasty as this, the taste was way to strong, as you don’t have a soylectine or sugar to cover it up….. as supermarket bought chocolate bars do. Anita, great advice concerning the cacao butter. I was considering using cacao butter as I too thought it might make this more of a “Real” chocolate but sounds like with out the added ingredients it might not work. Oh yum!! Orange and chocolate is one of my top flavor combos! I was wondering if you ever found a good recipe for milk chocolate? I do love the dark chocolate, but friends and my kids would like milk chocolate too. Any thoughts? May I make a suggestion, Primally Inspired? You can buy the exact same cacao powder for HALF THE PRICE through http://www.swansonvitamins.com. They are a great source for certified organic food products now, as customer demand for real food has – according to them – quadrupled in the past two years. You might want to pass this on to your fans, since everyone wants to know how to eat healthy and still stay within their budget. Great to know – thank you so much! It’s actually the same price, not half. I checked both 1 lb. bag prices. I am in love!!! Wow! So glad I found this recipe!!! I made this today and I am so happy! This will save me lots of money!!!! And it so rich and wonderful. A little goes a long ways! We’ve made this 4 times so far, 2 plain, 1 with nutmeg and now we’re just about to try an orange one, great recipe thank you! This might be a really dumb question: what does the T stand for with the amount of honey you need??? Not dumb at all! T stands for tablespoons. Thank you! I may never buy chocolate bars again. This is awesome! I love high quality dark chocolate bars but they’re so expensive. I’ve made this plain sprinkled with sea salt and it was so much better than anything I’ve bought. I have raw cocoa nibs in my pantry. Would grinding them into a powder suffice for the cocoa powder requirement? Would I need to adjust the amount of coconut oil then? Hi Julia – no, you can’t substitute cocoa powder with ground cocoa nibs. The nibs are made from the dried cacao pods while cocoa is made from the cacao seeds which has oils. The ground cacao pods will be drier and not have smooth texture of cocoa powder. They also have different tastes, though similar. The nibs, as you know, has a fermented taste aftertaste. But I add cocoa nibs to this recipe for crunch it came out wonderful! I’m not sure that’s right about the nibs? The result might not work grinding them yourself, but cacao powder is made from cacao nibs, but put through a special process to get a lot of the fat out, which we couldn’t really replicate at home unless we had a hydraulic press. Cacao nibs are from the cacao bean (not seed). Am so addicted to this chocolate recipe and share it with everyone! !Thank you for all the great posts!! hi 🙂 just wondering if anyone ever tried replacing the honey for powdered stevia? Yes! I just made a double batch with organic Stevia powder. Yum! This is the recipe I have been dreaming about! So easy to make! Thank you for this recipe! I also make a healthy “Almondtella” spread with cocoa powder, almond butter, stevia and coconut milk! Great on sliced apples! I just mix it up to taste! Thankful for other healthy chocolate lovers! 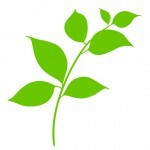 How much stevia did you use? Doesn’t it have after taste from the stevia? Which kind is the best tasting stevia? Yes, I would love to use stevia as the sweetener, but how much did you use? Hi luv the taste of this chocolate. Just wanted to ask, how do I get the chocolate smooth. Once i combine all the ingredients It becomes very thick & dry. Am I doing something wrong? Laura, try adding some more coconut oil. When I first mix it all together, it’s almost like the consistency of those store bought icings (Like Betty Crocker or Duncan Hines lol). You can kind of see what the consistency looks like in that picture (the one of the little round glass above). But if yours is thick and dry, it sounds like it might need a bit more coconut oil. I’d add in the melted or soft oil until it reaches a nice creamy consistency. Hope that helps! I just made my first batch of this and it was delicious, thank you so much for this recipe! We had silicone bear molds that we got to make cupcakes for my daughters–they make really cute chocolate bars! Your estimation for Dark Chocolate, at least, looks pretty spot-on: I ran it through a recipe calculator with 1 T. of maple syrup, and dividing it up into 5 25-gram bars, each had 127 cal, 12g fat, 7g total carbs (3g sugar), 2g protein, which is pretty similar to the dark chocolate I used to buy (before I found your recipe! ), except without all the junk. I’m looking forward to experimenting with some different variations… thanks again! I blogged about the chocolate-making experience and have pictures of my little bear chocolates there. Just tried this great recipe! Thanks for sharing it! No more buying chocolate chips! Not sure if it was because I used your fruit sweetener paste instead of honey or maple syrup, but my batch ended up pretty dry and grainy. I ended up using 2T of the fruit paste in an attempt to get it more wet, and then still added more coconut oil. Not sure exactly how much more, less than the original 1/4 a cup for sure. It was still grainy but I didn’t know how much oil was too much. thank you so much.It really looks healthy,gotta try them. Fantastic! I can’t believe how easy and delicious this chocolate is! I might never eat Hershey’s again! I hear you! I love this stuff!! I make this every night! Just put a spoon of coconut oil in a bowl, add cocoa powder, a bit of honey, maybe some sea salt, vanilla or cinnamon, and mix. spoon onto parchment paper, press, freeze, and in 15 min me and my kids have some yummy chocolate to enjoy! Is there a difference between cocoa powder cacao powder? I just bought some cocoa powder from Costco and seeing if it works with this recipe. Hi Denise! Yes, cocoa powder will definitely work and taste great! But there is a pretty big difference in cacao powder and cocoa powder and it’s in the way it’s made. Cocoa powder is the processed and heat treated version of the cacao bean. When it’s heat treated, it destroys many of those antioxidants and nutrients. Cacao powder is the raw version of the cacao bean so it retains all those wonderful antioxidants. Cocoa and cacao powder taste very much the same, but cacao powder is filled with all the nutrients and antioxidants. 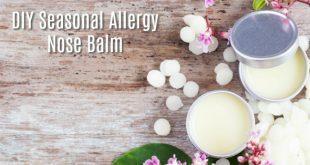 I am allergic to coconut in every form what can I use instead? Lee, you could try melted butter. I have Hashimoto’s Disease, so I may not be able to eat the honey or maple syrup. Is there a substitute? Or can these food items be deleted from the recipe. I’ve been buy the Enjoy Life chocolate bars for the past year, since I also can not consume gluten, dairy, nuts, soy… most everything. Hi DJ! If you have a favorite approved sweetener of choice, you can most definitely use that! Unless you like super bitter chocolate, you will probably find that you need to use some sort of sweetener to cut the bitterness. You may just have to keep adding a pinch of your approved sweetener at a time and taste testing it to get it perfect for you. Hope you like this – it’s a lot less expensive than those Enjoy Life bars! My Doctor suggested substituting it with Yacon Syrup. I have go google that and research it. I appreciate the quick response. Thanks so much for the healthy recipe and links! I hope everyone will profit from this. Chocolate is the bomb! Hi! I just made a batch, but it came out really pasty and chunky instead of smooth and liquid. I checked the recipe 3 times and I put in exactly everything that it said. Do you have any idea of what I may have done wrong? I tried this but it came out nice but sticky ! And even though I reduced the coco powder amount it is very bitter !!! Please help on what i have to do to get it less bitter , may be 33-35% dark chocolate…..
You’ll want to add more honey or maple syrup (or whatever sweetener you’re using) and taste test until it tastes good to you! Also, it will be sticky until you refrigerate or freeze it. Hope that helps!! Hi! Kelly, here a big fan of yours! Just a question, how should I interpret the honey / dark chocolate chart? ( for instance : 1 tbsp of honey = 85% of dark chocolate ) can you give a example using ounces ? And by the way…Do you have any special recipe to get looking so beautiful? or your mom did the whole work? PS: You are the ultimate! cookie. 85%, 73% and 60% and the amount of honey is to compensate the bitterness. Sorry, my ignorance! I’ve never been around chocolate…But now I wanna start making some. Thank you so much! You rock! When are you gonna upload some pics of you in Facebook ? Hi! Kelly, the chocolate taste great! but too soft for a bar. I tried with less oil and still soft. I LOVE this stuff… I always have it in my freezer for a good dose of coconut oil & cocoa! It is super yummy with a few drops of mint extract or EO…I have also mixed in chopped hazelnuts, shredded coconut, or even nut butters…. good stuff! yum! I love it with mint, too! I was just wondering how much chocolate these measurements made so i can edit it if i need more or less. Thx! Hi Ben! It makes about 1/3 cup. What if we don’t have coconut oil. THANK YOU!! Sometimes I just need a chocolate fix but I don’t want to feel guilty about giving in to it. I LOVE this recipe! I’ve made it a half a dozen times over the last couple weeks. I really appreciate people like you who share so many healthy recipes. Thank you again! Makes my day!! So happy to hear this! Loved this recipe!!! My family of four had two batches devoured in 10 min! Thanks for the great recipe, Kelly! I have made regular dark chocolate, coconut dark chocolate, almond dark chocolate, orange dark chocolate, mint dark chocolate and even hemp seed dark chocolate… I plan on using dried fruits like cherries, cranberries, and goji berries soon! This recipe is wonderful. I have also substituted ghee and red palm oil for coconut oil and you can notice a slight taste distinction. Each is unique but wonderful! Cacao is great for the whole body due to it’s antioxidant content; I am utilizing it specifically to decalcify and activate my pineal gland! That is so cool, Corey!! Thank you for the wonderful information! Can I use olive oil instead? I can’t do coconut oil or butter. Hi Caleb! I think olive oil may have too strong of a taste, but you could always cut the recipe in half or in quarters (so you’re not wasting a bunch of ingredients) and try it. The cocoa and honey may possibly mask the olive oil taste. Should I be heating this at all? No, if your coconut oil is liquid, there’s no need for heat. If your coconut oil is in a solid state, you’ll need to heat it on low heat so it will melt. Hi, is the mixture supposed to be smooth and liquidy? Mine keeps turning out more solid (too solid to pour into molds). I’ve tried making it twice now – one with coconut oil, one with butter. I’m not sure if it’s because my coconut oil is homemade rather than store-bought (my grandmother made it from coconuts in the Philippines). I’m not sure, Kunoko. It doesn’t do that for me, so I’m thinking it could be because of homemade coconut oil. Lucky you, though! I’ve never had homemade coconut oil and am so jealous! 🙂 Does your coconut oil turn liquid when heated? What you described sounds like your chocolate may have seized, or been overheated. If the links don’t work, search ‘What’s Cooking America – Chocolate Melting’, and ‘How to salvage seized or overheated chocolate’. I just made this. It is delicious, and just the right amount. I heated the wet ingredients in a small bowl, then added the salt and some nuts and currants (because I miss the old “chunky” bars). I added enough cocoa to make it really thick, but not pasty, then chilled it right in the bowl for about 15 minutes. I’m eating it right now. I have so many ideas that I can’t wait to try. I think some coffee or some coconut mixed in would be really great, and I plan on mixing in some ground hazelnuts next time, kind of like a solid version of “Nutella”. PS – I used 2 Tbs of sugar free maple syrup, and 1 Tbs of ‘Stevia in the Raw’, which gave it a semi-sweet flavor. I love all your ideas, Gramma Kaye! I love those chunky chocolate bars, too!! I really want to try this but we don’t get canola oil or cocoa butter here and the coconut oil we get here is not the pure one (it’s yuck >_< ) so is sunflower oil a good substitution..?? Please temme..?? If you steadily add more honey, could you get milk chocolate? Or would the mixture get far too liquidy? I still found it a little too bitter with 2 tbsp of honey so I added 2 tbsp of powdered sugar. This made it just right- for those who also found it a little too bitter. Very yummy. Thank you again! Thank you for the tip, Sindy! Great idea! I’m so excited to try this. Is it okay to substitute honey with brown sugar? Beautiful – I love all things dark chocolate! Not that I needed an excuse but I love the 5 reasons to eat more!!! Tried it, figured it was too runny so i did 1/4 cup coconut oil with 3/4 cup raw cacao, 1/8 cup brown sugar, stirred on low heat till blended. thicker was what i was looking for. its strong dark choc taste though. issue is the texture. at room temp 65-70 ish its kind of bendy. im looking for that brittle breaking texture that remains very solid at room temp. how does one achieve it with this recipe. use cacao butter? need to dial in the texture to be like those store bought organic choc bars.